Last week, we featured Sight & Sound magazine's last critics poll, in which Alfred Hitchcock's Vertigo unseated the longtime champion, Orson Welles' Citizen Kane. The latter famously appeared as Welles' debut, released in 1941, just days before the director and star attained the ripe old age of 26. Vertigo, by contrast, represents the work of a mature filmmaker; when it came out in 1958, its 59-year-old director had 46 previous pictures under his belt. Today, let's go back to the first of those, to a Hitchcock film far less widely seen — though of no less interest to Hitchcock enthusiasts — than the San Francisco tale of the troubled Scottie Ferguson and elusive Madeleine Elster: 1925's The Pleasure Garden, viewable free in full at the top of this post. This silent adaptation of an Oliver Sandys novel, a British production meant to showcase American star Virginia Valli, plunges into the romantically turbulent milieu of London chorus girls. It takes that plunge by opening with a sequence critic Dave Kehr calls "a clip reel of Hitchcock motifs to come." Clearly the 26-year-old Hitchcock arrived with his skills and sensibilities in place, but when he took on this project in 1925, he'd already had a bad experience in the film industry: 1922's aborted Number 13 would have given him his first directorial credit, but that production ran out of money when photography had only just begun. 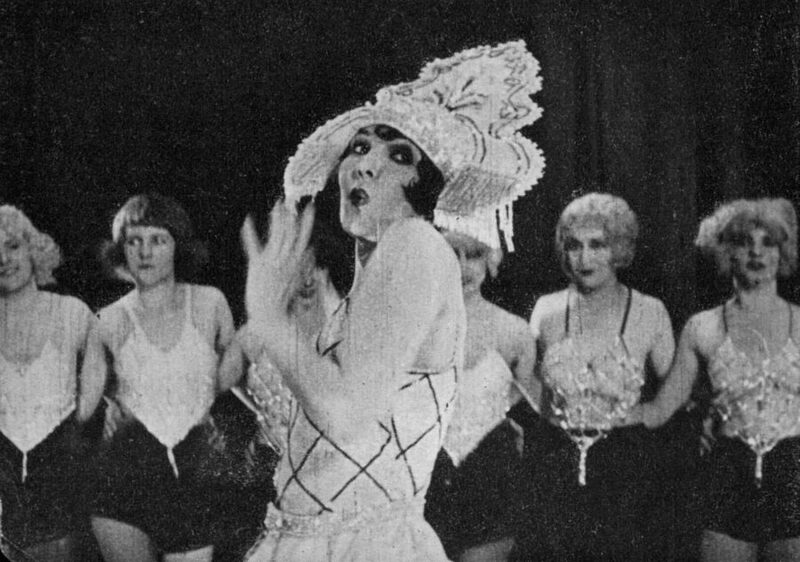 The Pleasure Garden itself wouldn't get publicly screened until 1927, after Hitchcock had already had some success with his third feature The Lodger. But the picture that will always remain his first has accrued a good deal of respect over the past 86 years, and it received a BFI restoration this year. If you can't find a showing of the restoration yet, watch the earlier version right here. You can also watch the trailer for the restoration here. You will find other great films in our collection of Free Hitchcock Movies Online, as well as in our larger collection 1,150 Free Movies Online: Great Classics, Indies, Noir, Westerns, etc..
Just clicked the link to watch The Pleasure Garden and it is no longer available. None of Hitchcock’s films are in the public domain. Google “Alfred Hitchcock: Dial C for Copyright”.